Widely recognized for his charming and anti-authoritarian roles, Jack Nicholson is unquestionably regarded as one of the greatest actors of his generation. The true Hollywood legend has won three Academy Awards and got 12 nominations for the same category becoming the most nominated male actor in the Academy's history. Throughout his extensive acting career that spanned over six decades, he landed a number of breakout characters in several evergreen movies including Anger Management, About Schmidt, As Good as It Gets, Hoffa, The Witches of Eastwick, and One Flew Over the Cuckoo's Nest as well. His finest performances in the movies earned him both name and fame becoming one of the most prominent American motion-picture actors of his generation as well. 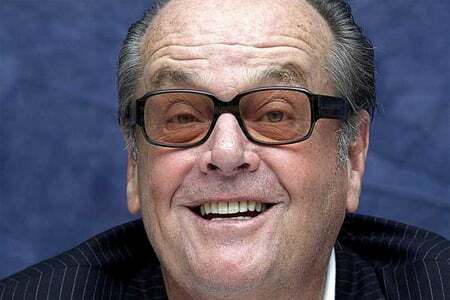 Jack Nicholson was born on April 22, 1937, in Neptune City, New Jersey. He is the son of a showgirl, June Frances Nicholson. 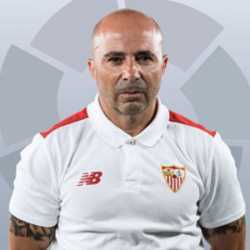 His nationality is American and regarding his ethnicity, he has a mixed ethnical background as his mother was of Irish, English, and German descent. His parents were married in the year 1936. There are a lot of reports talking about the biological father of Jack. According to book Jack's Life which written by Biographer Patric McGilligan, that Latvian-born Eddie King is the biological father of Jack. It was also reported that his mother June was just 18-year-olds as well as unmarried when she decided to ask her parents to raise him as their own child where she will act as his sister. The Time magazine informed Nicholson in 1974 that June who was acting as his sister was his actual mother who passed away in 1963. The military turned actor Nicholson was raised as a Roman Catholic. He moved to an apartment in Spring Lake, New Jersey along with his family. Nicholson went on to enroll at the Manasquan High School in Manasquan, New Jersey where he was likewise voted 'class clown' for their class which graduated in 1954. He did not continue his further study although his talent at the school was good enough to gain a partial scholarship offer. "I wasn't filled with a burning desire to make something of myself in those days. And since I was only 16, I figured I had plenty of time to go to college later& So I hung around Jersey for about a year. I made a little money at the racetrack, and I worked as a lifeguard at the beach one summer." Following his high schooling, Nicholson went on to join Air National Guard, in 1957 and then he landed a job for the animation department of MGM Studios as a gopher. During his time at MGM, due to his good looks and triangular eyebrows he caught the attention of its director Joe Pasternak who landed him a place in Jeff Corey's famed acting lessons as well as started training at The Player Ring theatre by the same time. Jack Nicholson made his silver screen debut playing a teenager in the 1958 low-budget crime flick Cry Baby Killer. For the next few years, he worked as a stage actor appearing in mostly low budget films. Following his minor role in the 1960 dark comedy Little Shop of Horrors, the actor featured in the Terror (1963), Back Door to Hell (1964), Ride in the Whirlwind (1965) and The Shooting (1966). Nicholson made his biggest breakthrough as an alcoholic Southern lawyer George Hanson in the classic road movie Easy Rider (1969). The movie turned out to be one of the third highest-grossing films of 1969, with worldwide box office $60 million, including $41.7 million in the United States domestically against its filming budget of no more than $400,000. For his breakout performance in the movie, Nicholson was also nominated for an Academy Award under the category best-supporting actor. His another stellar performance came in 1973 when appeared as a profane U.S. Navy petty officer in the comedy-drama film The Last Detail. For his leading role in the movie once again landed him an Oscar nomination for best actor. The year 1974 proved to be a particularly fruitful one for Nicholson as he was nominated for the fourth time for Academy Award under the category Best Actor for his most nuanced and complex role Jake Gittes in director Roman Polanski's brilliant 1974 neo-noir Chinatown. The movie became a huge hit at the box office also grossing $29.2 million worldwide at the box office against its budget of $6 million. Nicholson's another phenomenal success came in the following year after he delivered his greatest ever performance in One Flew Over the Cuckoo’s Nest and eventually won his first Academy Award for Best Actor in the movie. The movie met with overwhelming critical acclaim and made a whopping box office collection as it grossed $109 million worldwide against its producing cost of $3 million. Nicholson landed his another significant role appearing as a deranged hotel caretaker in the acclaimed film The Shining. He received another Oscar for Best Supporting Actor in the 1981 film Reds. In the 1980s, he delivered a number of brilliant performances including Terms of Endearment (1983) and Batman (1989). He won his third Academy Award for his portrayal of a misanthropic writer in the movie As Good As It Gets, in 1997. Nicholson continued to earn praise for movies like A Few Good Men (1992), About Schmidt (2002), Anger Management (2003), Something's Gotta Give (2003) and The Departed (2006). The reports surfaced in the year 2013 that Nicholson was retiring from his illustrious acting career at the age of 76. His last project was the 2010 romantic comedy movie How Do You Know. Throughout his prolific acting career, Jack Nicholson gained recognition for his several stellar performances in the movies. Most of his movies were turned out to be box office hit as well as earned a large amount of salary for him. According to Celebrity Net Worth, Nicholson has an estimated net worth of around $400 million. Nicholson has purchased the American actor and film director Marlon Brando's mansion for $6.1 million in Mulholland Drive in Beverly Hills following his death in 2004. He also owned a house in Colorado which current market value is $11 million. And his Newberry mansion is on the market for $15 million as of now. Nicholson bought a fortress for $4.25 million in Malibu in 1977. The 28-acre property also boasts a tennis court, pool, a grotto-style spa, putting green, and a separate caretaker home as well. In 2010, the estimated value of Nicholson's art collection was $100,000,000. 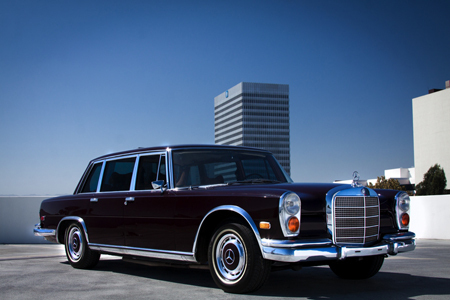 Nicholson is the proud owner of Mercedes Benz 600 which is worth around $87,695. He also owned a Range Rover which worth around $50,000. Jack Nicholson once shared a marital relationship with wife, American actress Sandra Knight with whom he also shared a daughter. The couple married on June 17, 1962, and welcomed their first child, a daughter named Jennifer Nicholson, on September 16, 1963. CAPTION: Jack Nicholson and his wife Sandra Knight. The two separated in 1968 and their divorce was finalized on August 8, 1968. The actress Susan Anspach also claimed that her son, Caleb Goddard's father is Nicholson who was born on 26th September 1970. But later Nicholson denied the claim. 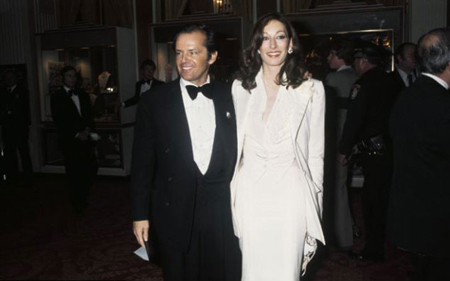 Following their divorce, Nicholson was in a brief relationship with actress Anjelica Huston with whom he started dating in April 1973. 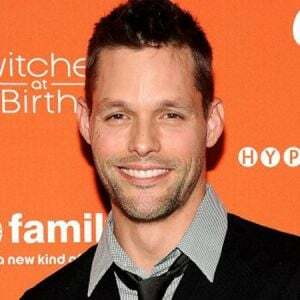 Between his on-again, off-again relationship with the actress, he was also romantically involved in a relationship with Danish model Winnie Hollman and welcomed their daughter, Honey Hollman, born in 1981. The relationship between Nicholson and Huston came to an end in January 1990. In the year 1989, he began dating actress and model Rebecca Broussard. The power couple welcomed their first child, a daughter named Lorraine Broussard Nicholson on April 16, 1990. 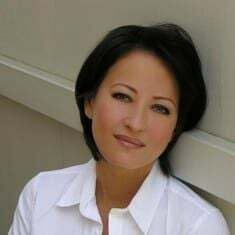 Lorraine is also an actress and director. 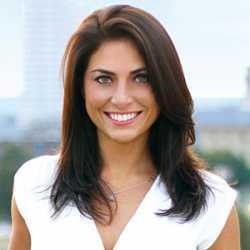 Rebecca gave birth to their second child, a son Raymond Nicholson on 20th February 1992. The couple split up in 1994. After their broke-up, he was linked to actress and producer Lara Flynn Boyle. Though there were rumors that the couple parted ways in 2000, they permanently broke off their relationship in 2004. As of now, the true Hollywood legend is probably single. "I don't believe in God now. I can still work up an envy for someone who has a faith. I can see how that could be a deeply soothing experience." 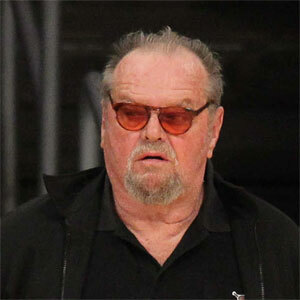 Jack Nicholson is a big supporter of the New York Yankees and Los Angeles Lakers. He also likes to collect the 20th-century contemporary art, including the work of Jack Vettriano, Andy Warhol, Tamara de Lempicka, and Henri Matisse. A man named Robert Blank filed a lawsuit against Jack Nicholson on February 8, 1994. While Blank was stopping his Mercedes Benz at a red light in North Hollywood, Nicholson came and suddenly started bashing the roof of Bank's car with a golf club. Following the incident, the witness also confirmed that Jack vandalized the car and charges were made against Jack. Afterward, Jack accepted his mistakes. Soon the actor and Blank reconciled and the charges against Jack were dropped. After Nicholson apologized to him, he withdrew the case and they reached an undisclosed monetary settlement. Reportedly, Bank also received $500,000 check from him.